Rimes has won many awards, including two Grammys, three ACMs, a CMA, 12 Billboard Music Awards, and one American Music award. 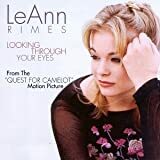 She has released ten studio albums and three compilation albums and two greatest hits albums, one released in the U.S. and the other released internationally, through her record label of 13 years, Curb Records, and placed over 40 singles on American and international charts since 1996. She has sold over 37 million records worldwide, with 20.3 million album sales in the United States according to Nielsen SoundScan. Billboard ranked her 17th artist of the 1990–2000 decade. Rimes has also written four books: two novels and two children's books. Her hit song "How Do I Live" was ranked as the most successful song of the 1990s by Billboard magazine.